All images: courtesy of Kitchen on the run – Photo by Johann Angermann. 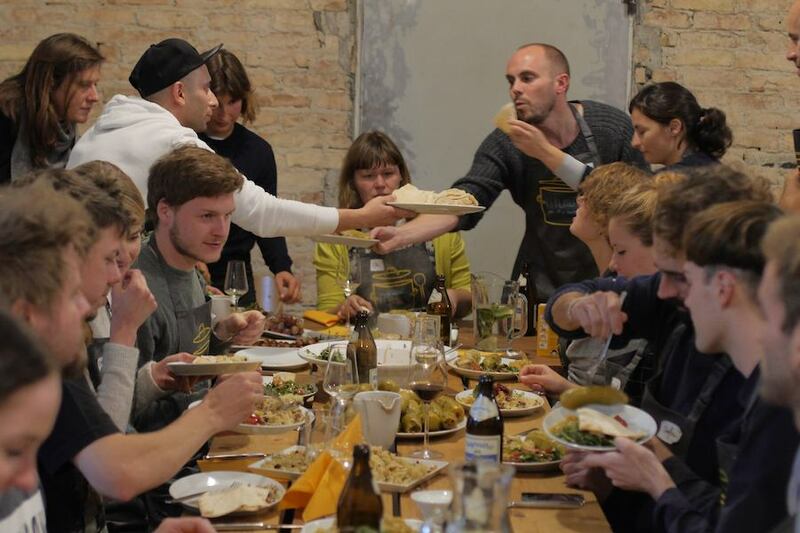 #Nomad – As the migrants’ emergency and its related issues cross borders from the heel of Italy to the Nordic sea, a Kitchen on the run is touring the same European path conveying a human-based message with a simple, yet strong, mission: encouraging and supporting intimate get-togethers between refugees and locals in Europe around the kitchen table. 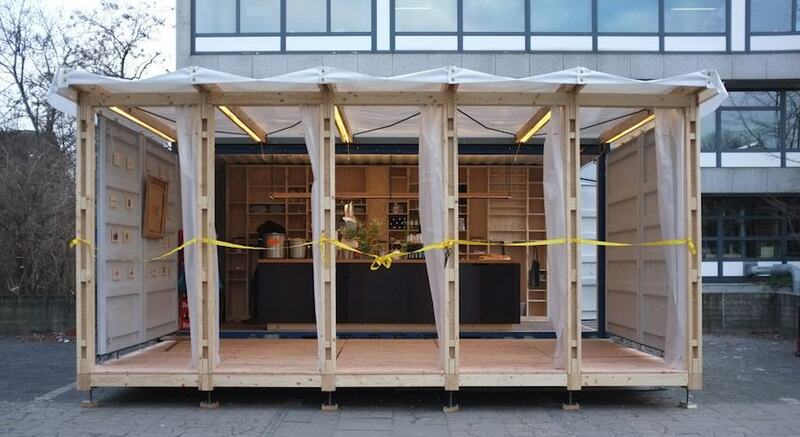 Kitchen on the Run is designed reconverting a container into a space for sharing. 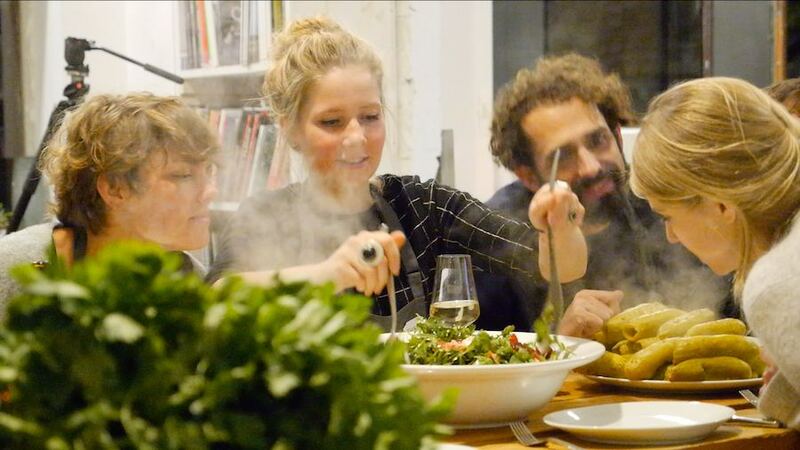 Every day locals and refugees are invited to coock and eat toegether, but also share food, recipes and stories. Rabea Haß, one of the creators of the project, says: “We hope that this will inspire communication and mutual understanding between newcomers and locals in Europe, as well as create lots of tasty friendships”. Image and texts by Amelie Persson. 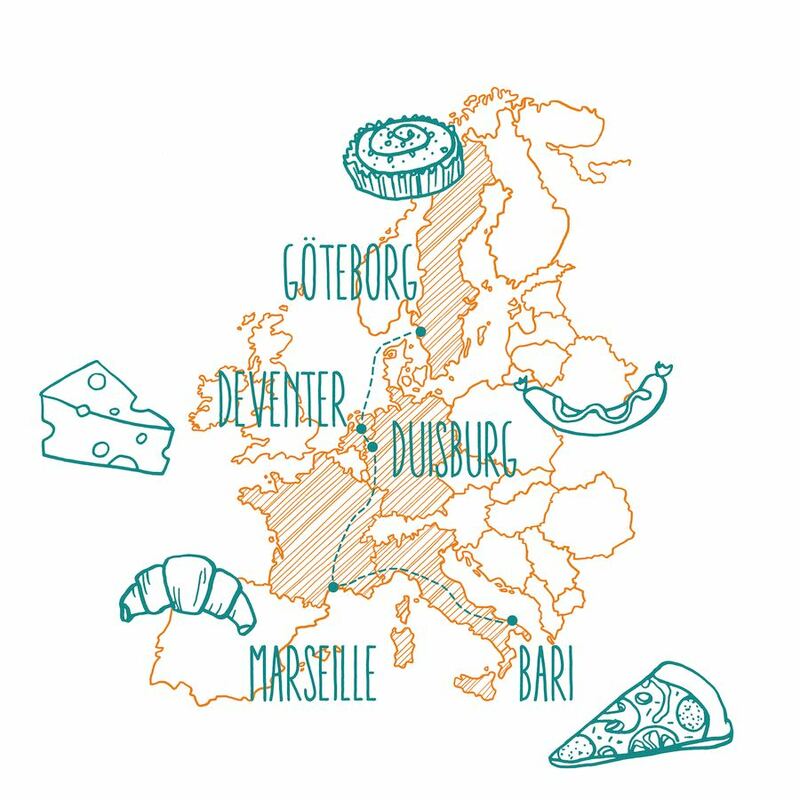 Kitchen on the run started in Bari, Italy, and is travelling through five countries stopping at Marseilles (France), Duisburg (Germany), Deventer (Netherlands) and Götheborg (Sweden). Locals can contact the organisers to book a date both as hosts and guests. The organisation and the promoters of the event cover the costs. All participants can join for free. RELATED STORIES: Discover more nomadic architecture and design projects on ArchiPanic. 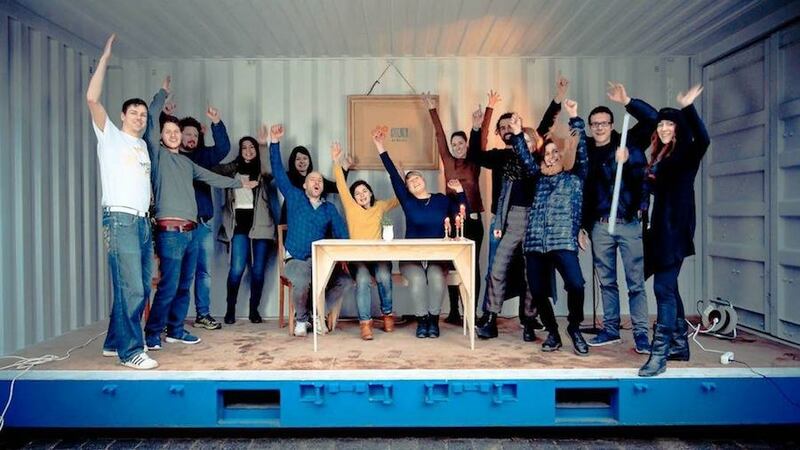 The used cargo container was turned into a functional kitchen and cosy meeting place by architecture students of Professor Donatella Fioretti at the Technical University of Berlin. 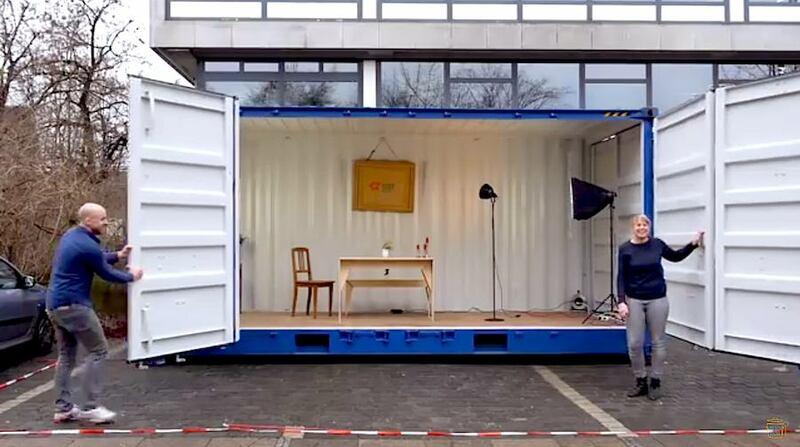 Kitchen on the Run is a project that was made possible thanks to Unber den Teller and kochen, a German project that inspires cross-cultural exchange and encounters and supports an open and tolerant society. Kitchen on the Run – Frame from the presentation video – Watch. RELATED STORIES: Refugee Republic interactive online documentary allows to discover everyday life in a refugee camp in Iraq. Drawings, photos and videos narrate the transformation of a temporary site to a small city but also the life, struggles and hopes of its residents. “We have seen in the recent years, and particularly in the recent months, how Europe is tearing itself apart arguing about how to handle the flow of refugees” say the organisers Rabea, Jule and Andy. “Right wing parties gaining weight all over Europe, racist movements becoming more and more popular. As ordinary Europeans citizens could no longer watch this happen. 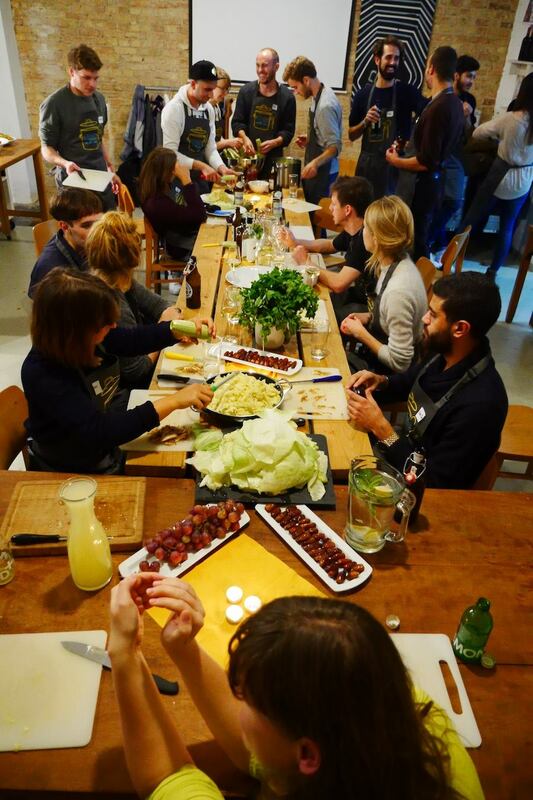 So we decided to act – we are making our idea a reality and contributing to #makeEuropeABetterPlate”. – All photos and the video: courtesy of Kitchen on the Run.